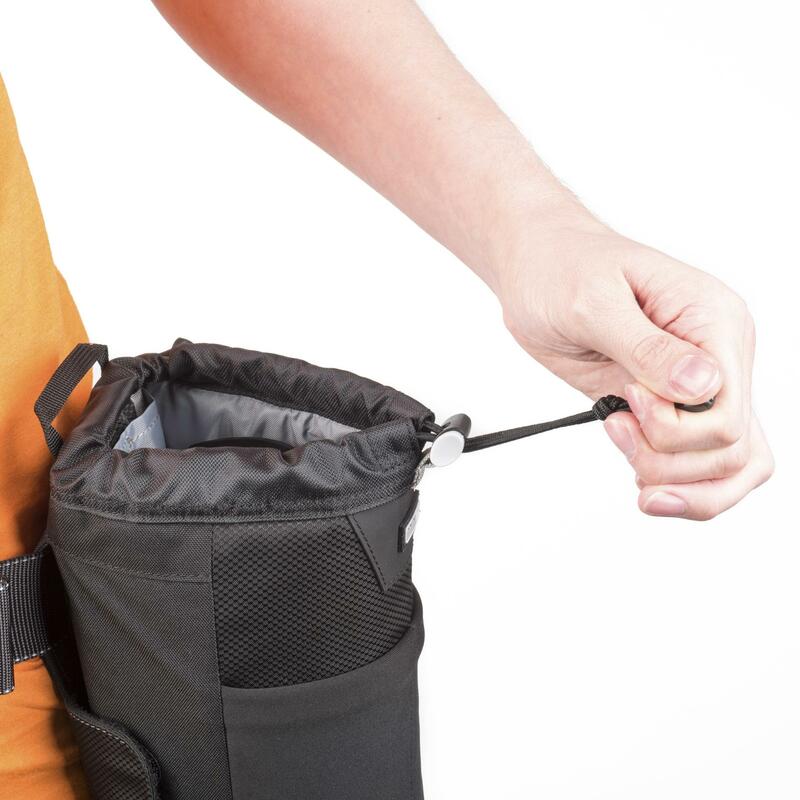 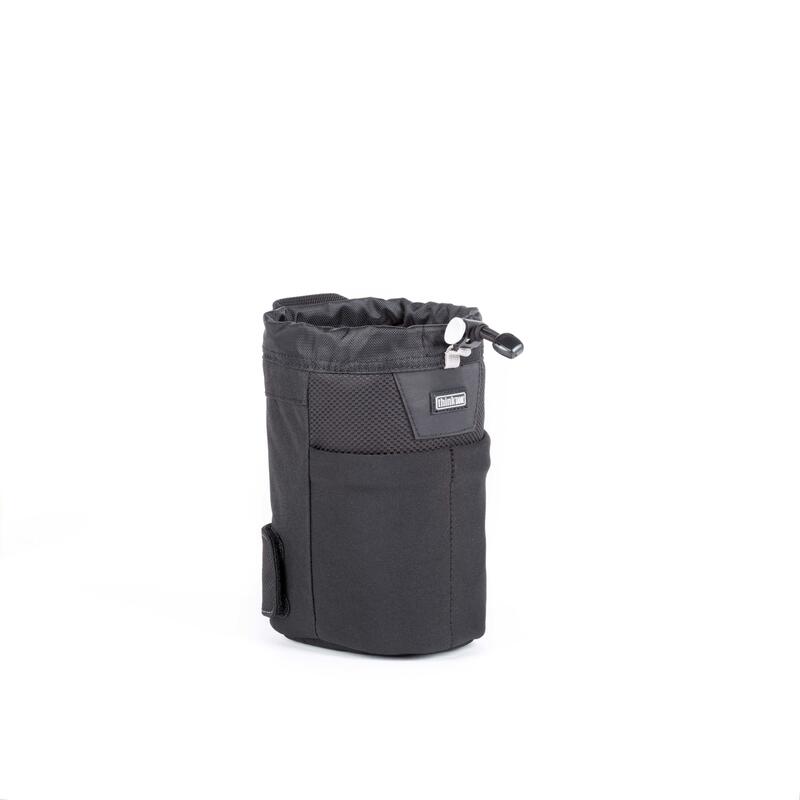 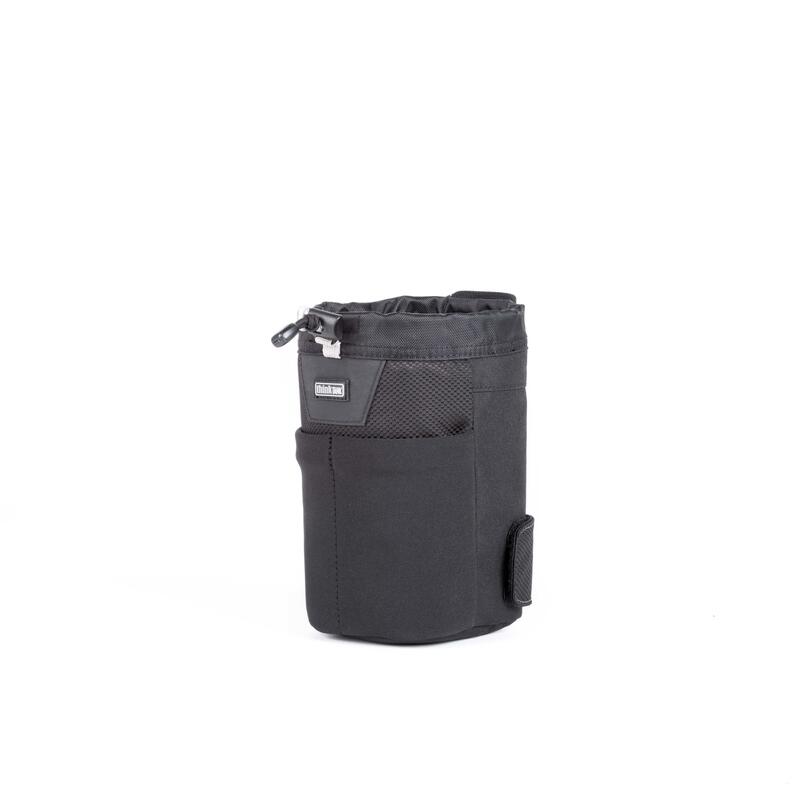 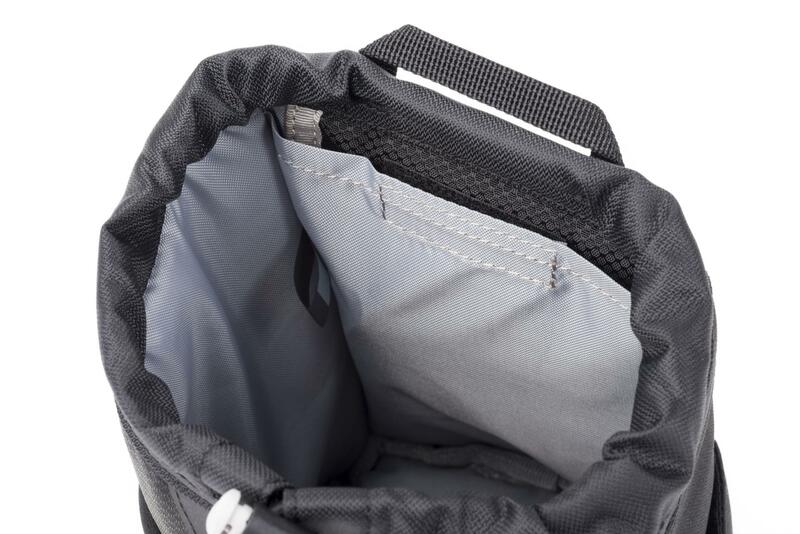 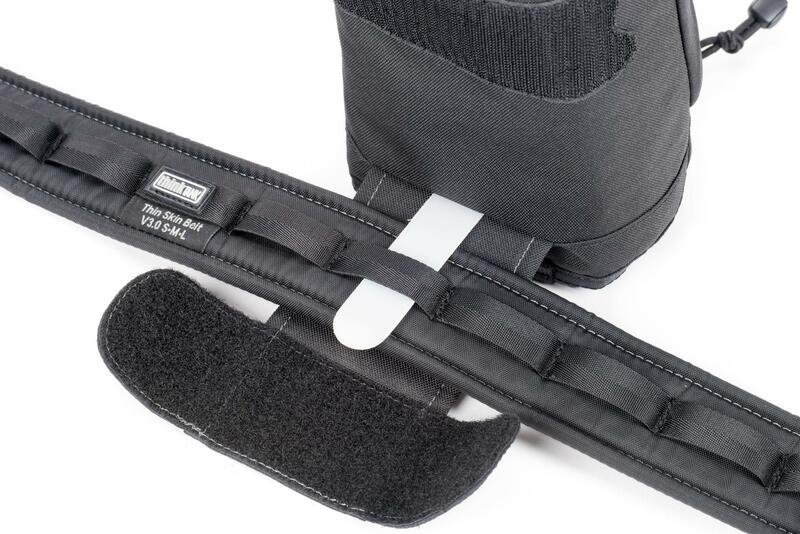 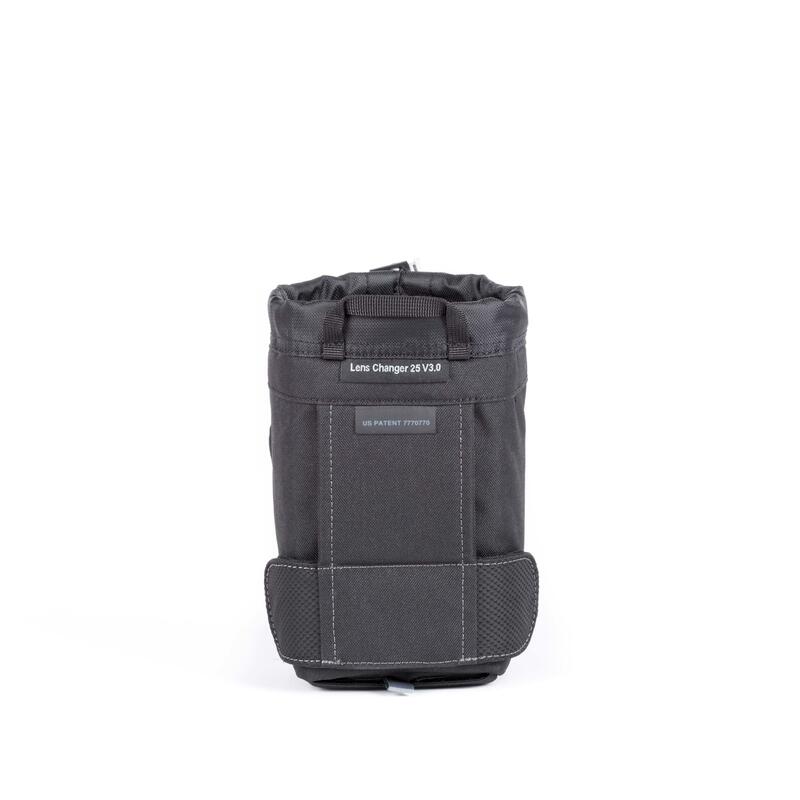 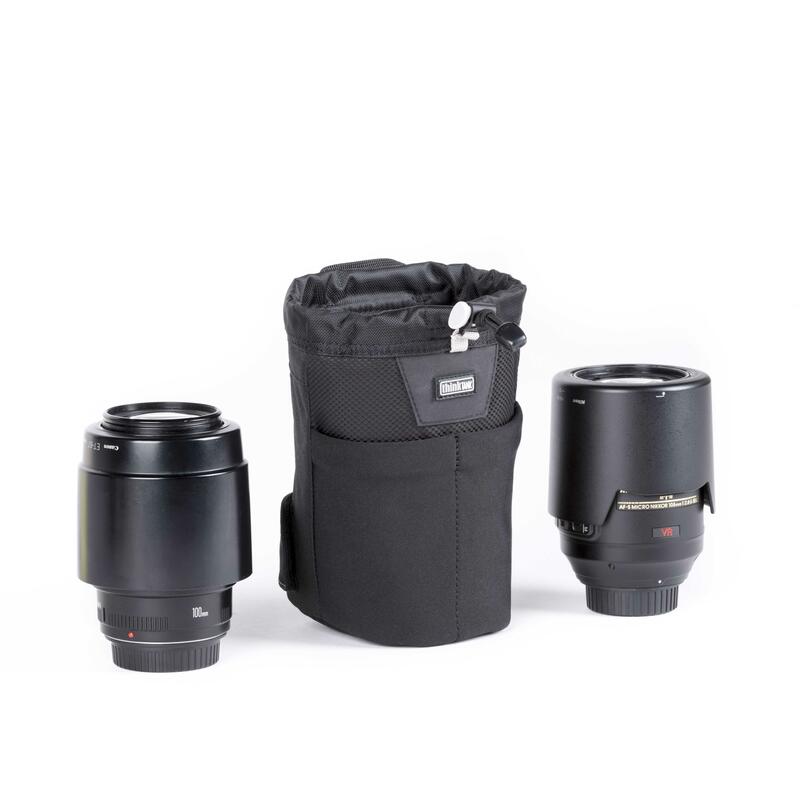 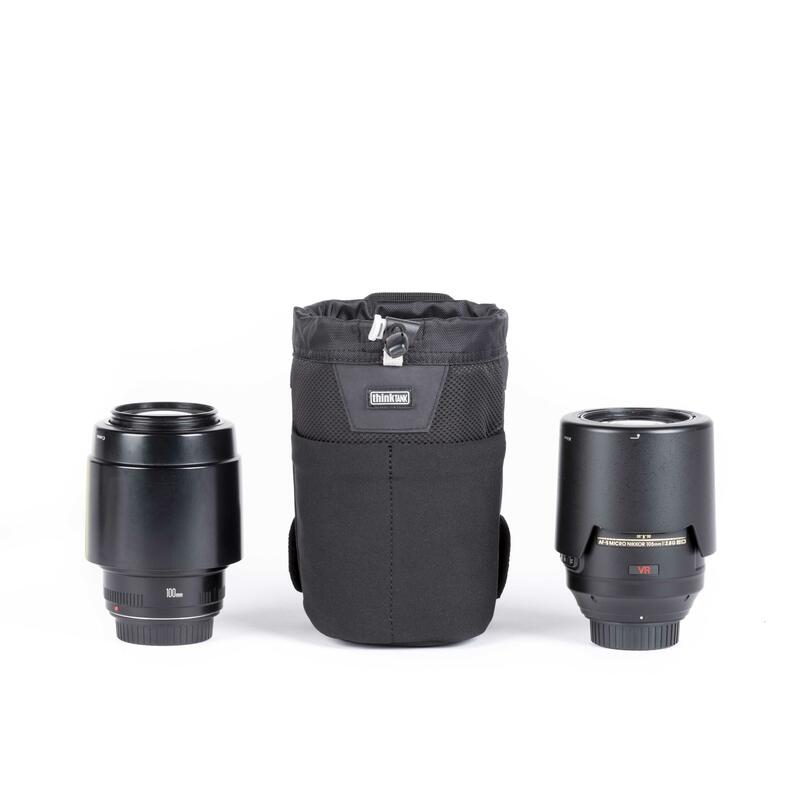 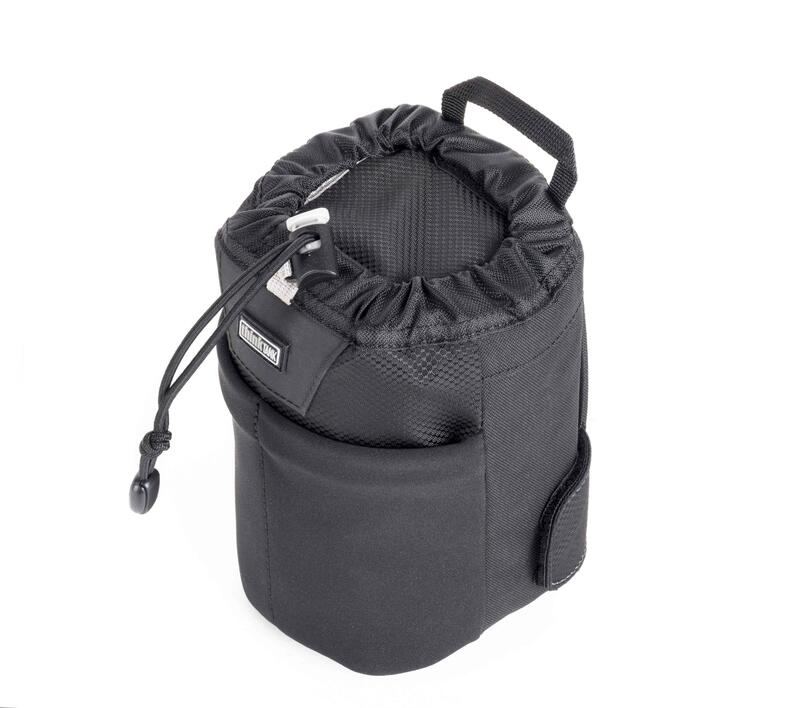 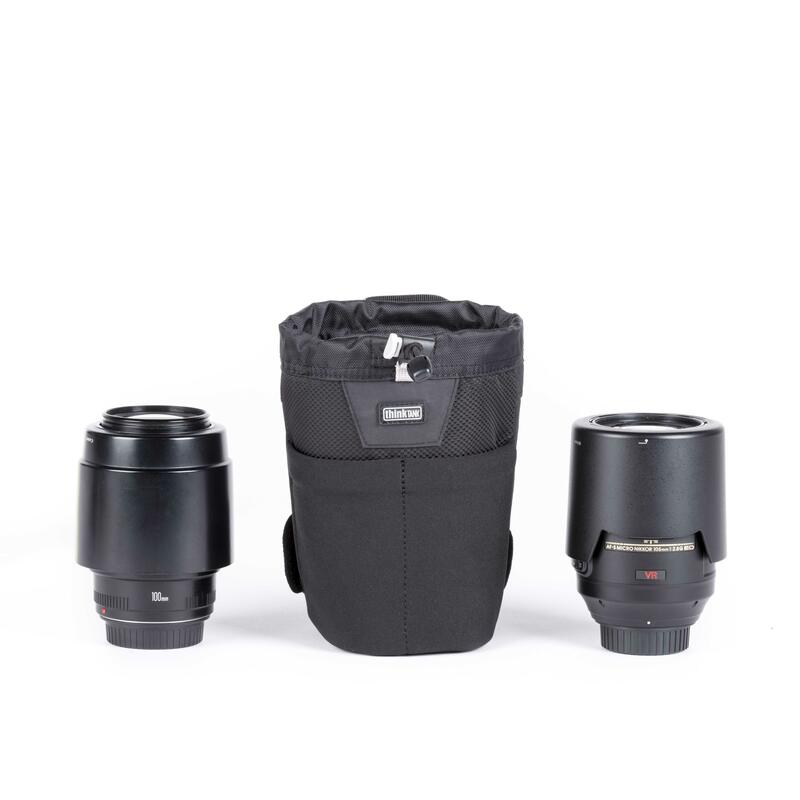 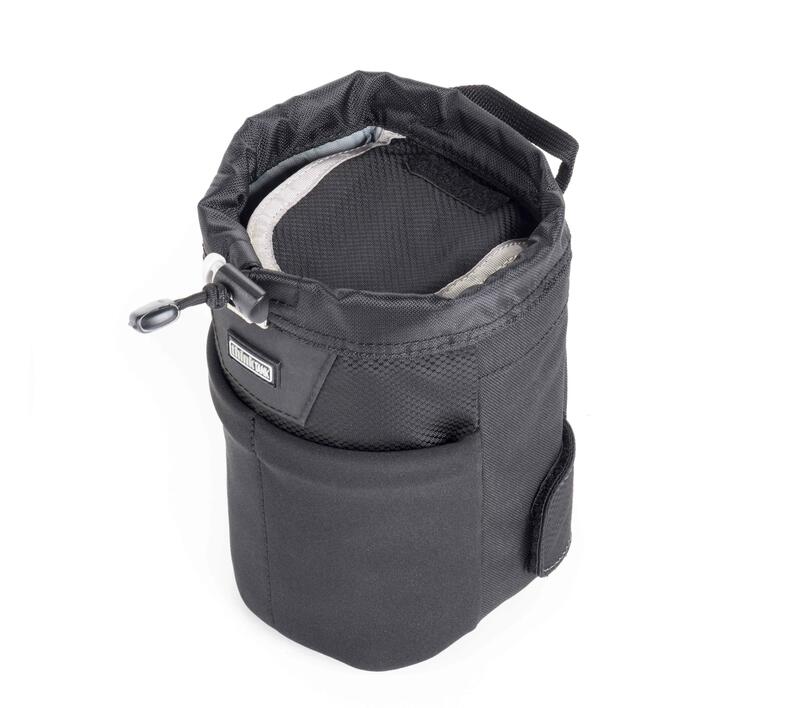 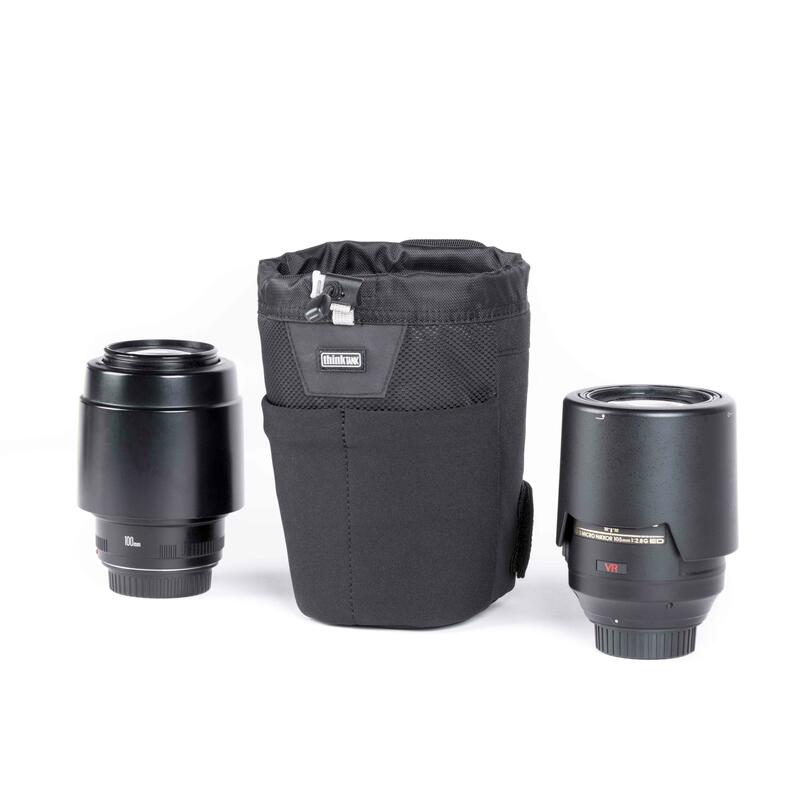 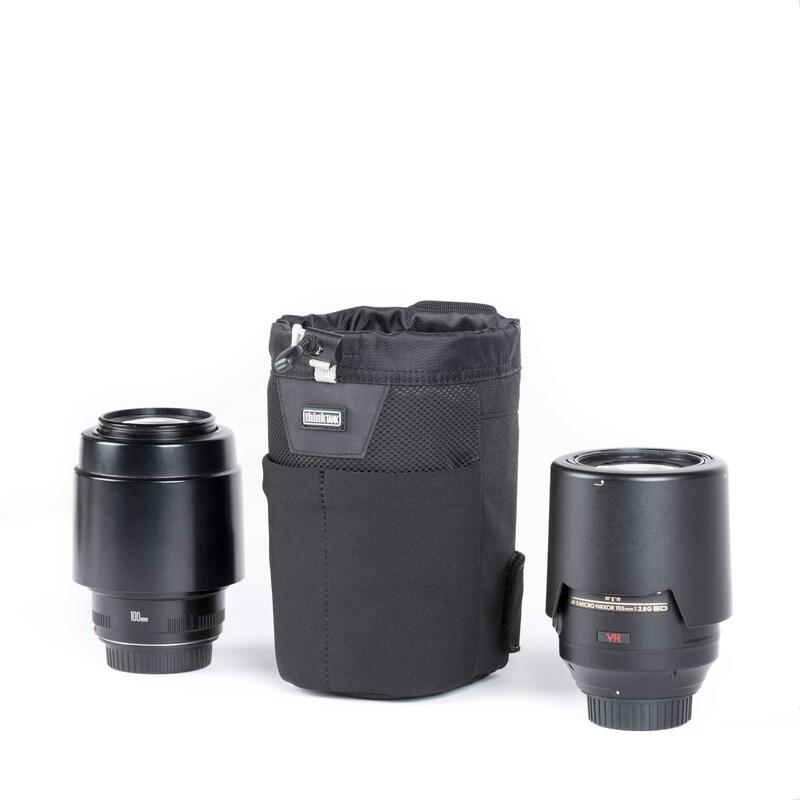 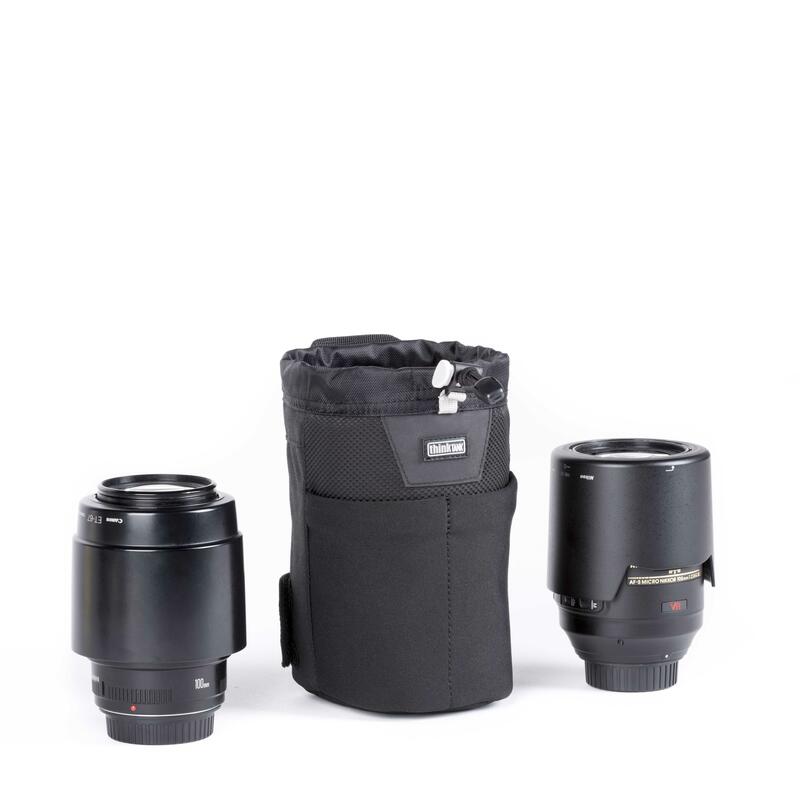 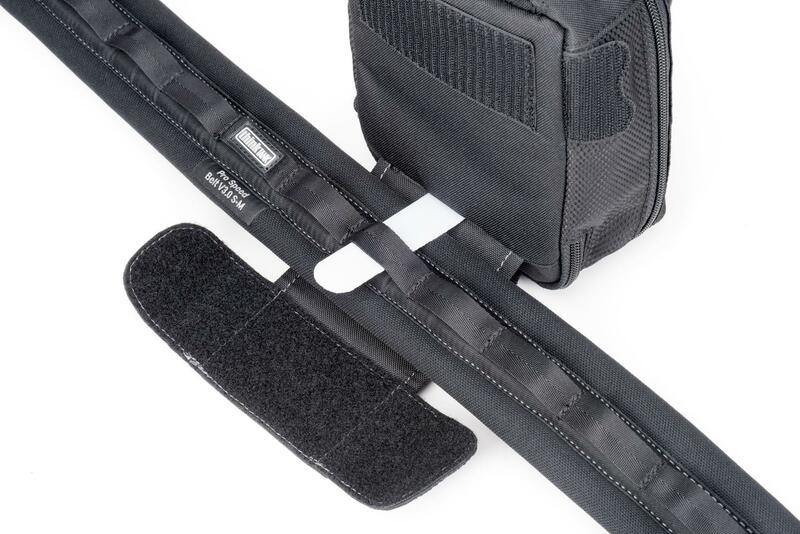 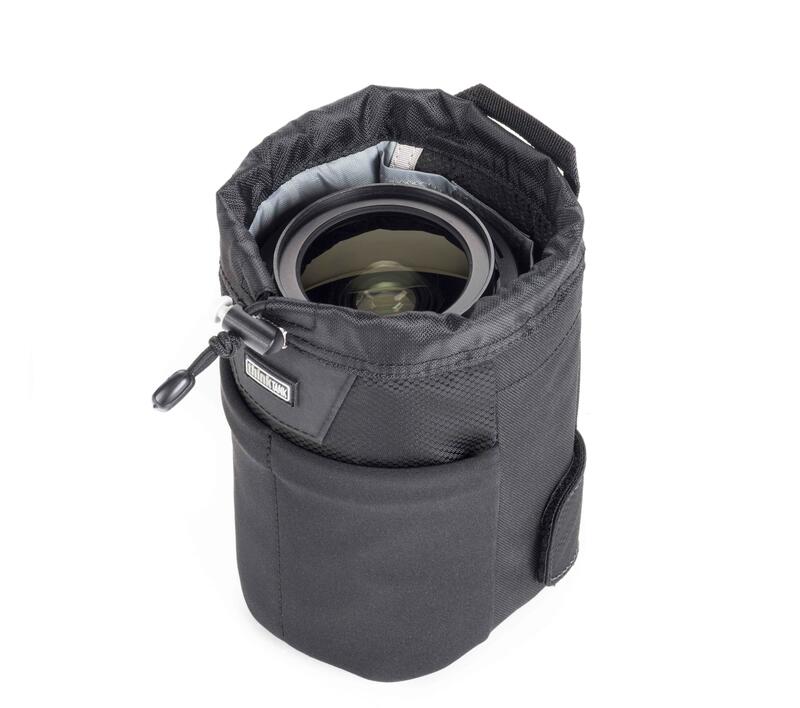 Lens Changer™ 25 V3.0 pouch is designed for lenses such as 14 - 24 f2.8, 28 - 135, and 28 - 200, with the lens hood attached. 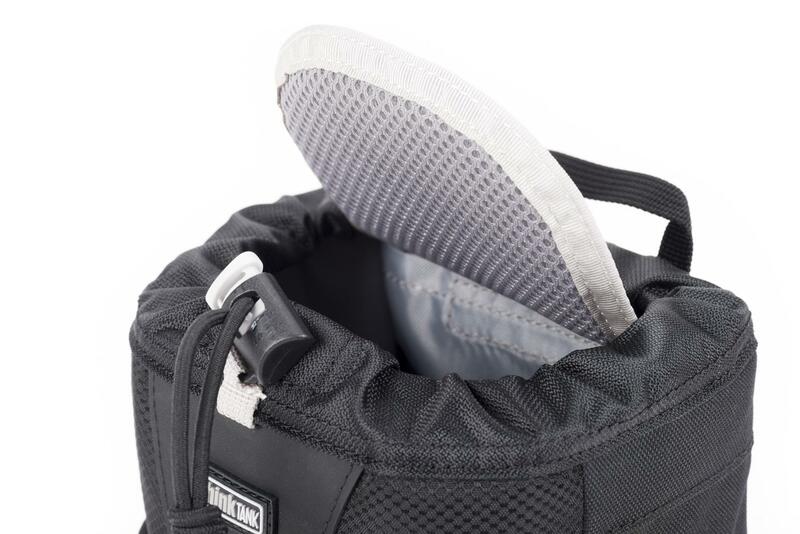 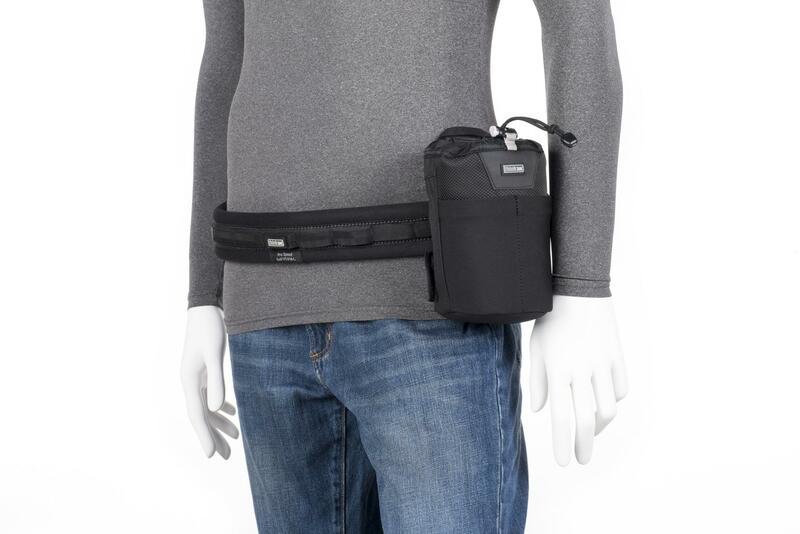 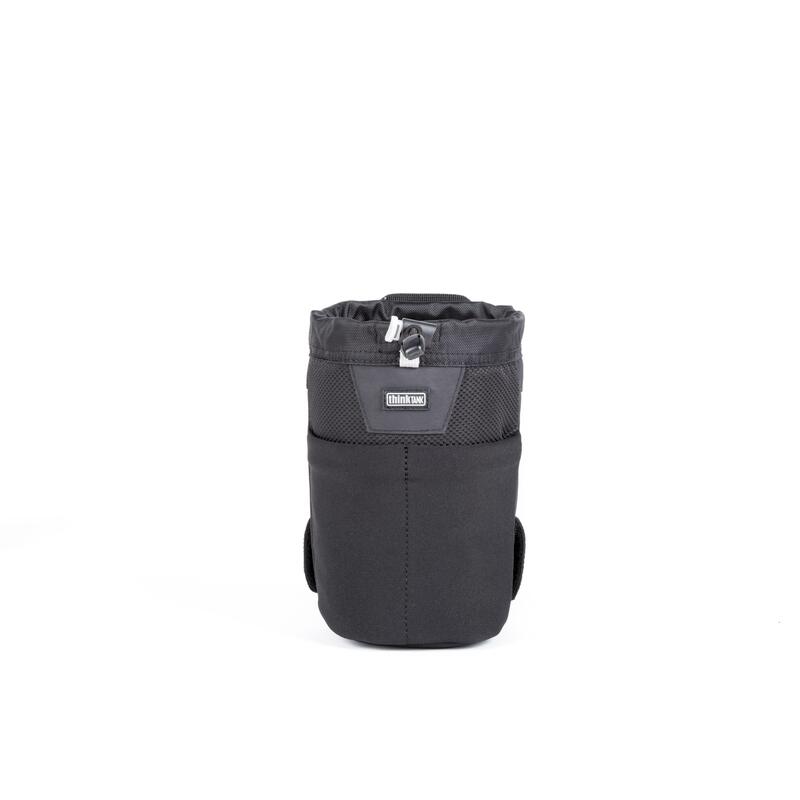 It rotates and locks on the Think Tank Photo belts, for easy access. 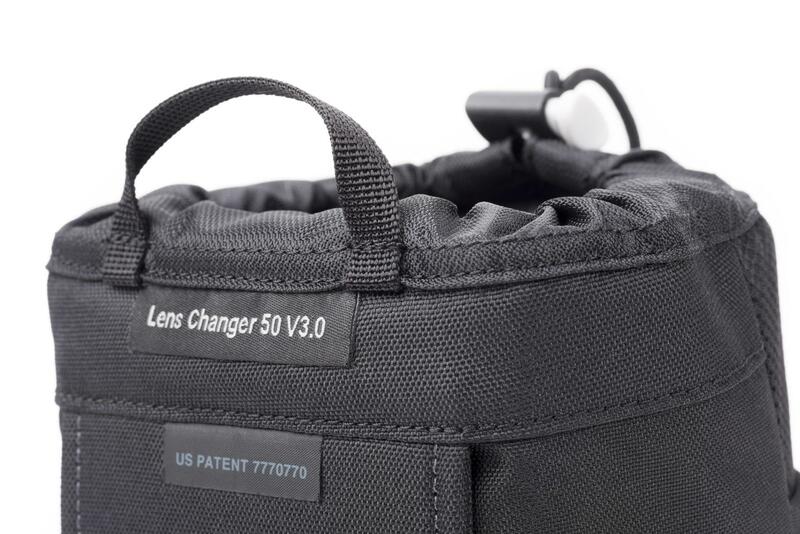 (Please check dimensions for lens hood compatibility).